Part 1 of the Physical vs Mental Health illness debate. What is this cartoon saying? As absurd as it may seem it highlights a very important message about how mental illness is stigmatised and not an equal to psychical health. The truth of course when someone is physically ill there is different treatment route you take to help remedy the illness. But when confronted by mental health, why does the treatment route differ vastly from physical illness. With a physical illness it is treated quickly and have received the care they need in A&E for example, discussing openly about their illness. In comparison, a mental illness has delayed treatment ( often cases of no treatment at all), but no one is willing to discuss the illness, openly. There still remains a huge divide between having a mental illness and physical illness. It is seen that a physical illness is more acceptable and recognisable in society, socially accepted. On the other hand, a mental illness is kept quiet, only whispered about and not mentioned in public. When others know someone is mentally ill, they act differently around them whispering and staring, often moving away suddenly. The sufferer at this point will feel shame and outcast by society. They aren’t seen the same as someone who has a broken leg. In society today, physical illness is openly discussed, its often an easy subject to talk about and cope with ( not in all circumstances). 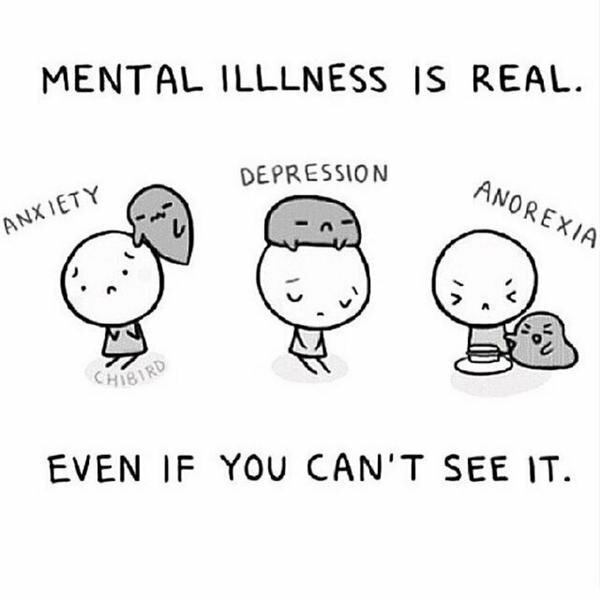 On the other hand, mental illness people hide in the shadows and whisper about the illness, in fear/shame from the societal judgment and stigma. Its a well known fact that physical health conditions have a deep rooted scientific basis in society and medicine is widely researched and studied. This means generationally throughout humanity, knowledge of the human body, medicine and physical health conditions are passed on and explored deeper. We study biology at school, we are told of the vast amount of clinical and scientific career routes. It is ingrained from when we are young, to understand physical illness, which medications are available for us when we have a headache for example. Whether we choose to or not, when it comes to the human body we have knowledge and understanding of physical conditions and treatments. But the part of the body which is a mystery still remains the human brain. Throughout our early years of learning, we are told much about the workings of the brain, what happens when something goes wrong and what conditions come of this. Understanding the brain is seen as a option in higher education and so is the study of mental health disorders. The first time I learnt, researched and studied the human brain was in college, as I picked Psychology as one of my a levels. Therefore for the most part of my life, I never knew about mental illnesses, how they occur, the effects and treatment. But at the same point, I knew about how the rest of the human body works, how the organs work and what occurs if something goes wrong. Why is this?? Answer: its how society is structured. Physical illnesses are visibly treatable and has visible symptoms, whereas a mental health illness is not visible and the symptoms are not often obvious. I’ve been apart of many conversations, especially amongst my family, where having high blood pressure, diabetes or a heart condition etc are openly discussed, regularly, without much difficulty or shame. However, I’ve never heard/been apart of any conversations about depression, anxiety etc, this shows there is an element of shame. Each community has there own beliefs and boundaries on many topics, but what we can see is for the majority of them mental health is very much a taboo. Communities such as the south Asian, afro-Caribbean are two communities which have the lowest engagement with mental health services. In addition, males find it more difficult to express their emotions than females, and also less likely to engage in mental health services. These are just examples of how our society is innately structured and throughout every generation, we abide by the unspoken laws and boundaries within them. Our education systems are built around this, being biased and exclusive on which information is taught. Yes we cant help that this is how we’ve been brought up, but recognising it now, we can start to change this so the next generation learn from a young age about mental illness. This change has begun, as schools ae now teaching children to talk about their emotions, they have mindfulness classes/sessions, and school subjects now include learning about the brain and mental illness. Workplaces are incorporating mindfulness sessions, recognising that someone may not go into work because they are having a bad day due to anxiety or depression etc. More and more celebrities are highlighting mental health and campaigning to raise awareness. All these positive steps forward are occurring, and a shift happening in society to being more inclusive and accepting of mental illness. But why do sufferer’s still feel shame, unable to talk about their illness and carry the burden on their own? Harsh answer is: there is a pattern in society for ‘condition of the month’. Currently suicide is gaining a lot of media attention, through celebrities. But what about Joe Bloggs whom has suffered with depression for years, made several attempts to end his life and is living isolated from the community. Does he not get media attention? This is the real side of the illness, the ugly truth. Its not all straight forward as made out in the media. Its endless suffering and fighting a battle daily in hopes of not loosing yourself to the illness. Every second someone commits suicide somewhere around the world, and even at that massive extent of human life loss, it isn’t highlighted until its suicide prevention day, mental health awareness month or a celebrity unfortunately commits suicide. In mainstream news, as much as we get up-dates in medical research, we should also receive up-dates and news alerts in psychological/psychiatric research. This will continuously expose the general public to mental health and create an equal mindset between physical and mental illness. Physical illness is seen as a collective condition, where the individuals feel comfortable discussing the illness, treatment and the effect upon them, openly. We find mental health is more an independent condition as the sufferer feels isolated not part of a collective. They fail to realise the person next to them or opposite them also is suffering in the same way they are. Society easily turns a blind eye to things they don’t see, feel or have enough knowledge upon. Mental health conditions hide in the shadows of society, they are always there and is increasing in size. Every so often they come out the shadows to make a brief appearance than they are returned back to the shadows. Society is only at the young early stages of accepting mental health conditions and it will be a long time before any issue related to the brain will sit confidently alongside physical health conditions. When they see you as a strong person, they think that you do not need anything or anyone, you can bear everything and will overcome whatever happens. That you do not mind not being listened to, cared for or pampered. A strong person is not asked if they are tired, suffering or falling, if they have anxiety or fear. The important thing is that they are always there: a lighthouse in the fog or a rock in the middle of the sea. If they lose control, they become weak. If they lose their temper, they become hysterical. When the strong person disappears a minute, it is immediately noticeable, but when they are there, their presence is usual. But the strength that is needed every day, to be that kind of person, does not matter to anyone. Honour , recognize, respect and thank the strong people in your life, because they also need to be reminded, loved and feel that they can rest. We are getting lost in humanity. It’s easy to become overwhelmed, lost in a crowd and feeling invisible. The world we live in today, isnt the safe haven we once thought it was. The new technological age, has brought with it demons, realising our inner weaknesses. Our fears are becoming true, we turn for help and the help turns away, unaware of your cries for help. It’s a very selfish society! From something which should’ve brought the world closer together, humanity stronger as we would be united. Instead, humanity is estranged from one another, conflicts becoming more prevalent and individuals loosing themselves. The ideology and imaginary of someone curved over head down mindlessly walking looking at a 5x5screen, is our reality. But why? Everyday we look down, spending hours looking down at the lives of others, talking to people virtually, looking down. So when do we look up?? Life is precious and is time sensitive, if we don’t look up at the world around us, the dangers ahead of us, the person next to us etc. We could literally be right next to someone whom needs help, but we are too busy putting posts up on social media about caring, that in the real world caring is becoming a rarity. We are all guilty of this, including myself. But when we get to a point where we stop looking up, what are we doing with our lives?? We strive to be a success, have a family and live a fulfilled life. We want this, we may even portray it on social media. But are we actually successful, have we fulfilled our lives. The answer probably not. If we spent less time looking down, being nosey into other people’s lives and falsely portraying open good life, we might actually achieve something. It’s a harsh reality check! If you walk down the street and look around you will 100% notice that at least 99% of people will be using a device either; listening to music, texting or scrolling through social media. The current young generation we have are using iPads as young a 2yrs old. Their generation will loose the ability to imaginatively play and create, have face-to-face conversation, their language may be very limited, may become socially isolated. The technological age is taking away our basic humans needs and abilities. We constantly chasing people to talk to, even in large crowds, which have become the loneliest of places. When someone is hurt, being bullied, or people have an argument in the street or worse. What is your first instinct? Mine is and will always be to help! But it’s becoming more and more common for someone to pull out their phone, open the camera and film it or take a selfie!!! Once humanity has reached this all time low, we must start to question ourselves and the necessity of such technology. When I see some news articles, I wonder how some pictures or videos are taken. Then you realise no one is helping but al standing around filming it. One recently was a person had committed suicide on a railway track and a man was seen standing on the platform taking a selfie with the body in the picture frame!!! Why do we feel the need to publicise life through virtual reality. It’s becoming if you don’t post it on social media, did it really happen? To take it further even small situations like eating a meal with your family, most or all may be on their phones for the entirety of the meal. I was at a restaurant and the table next me the couple were both on their phones, not once did they speak, and I looked around and it was everywhere. For me, I like talking and having a conversation, I rarely ignore a person and look at my phone. Because then what’s the point of eating together? The thing is children will learn this trait and will copy, and this will become ingrained in their life. There is an alarming increase of depression, body dysmorphia, anxiety etc. Can we really be surprised by this? Everyone loves a Snapchat filter, makes them look cute, silly or flawless. But what image are we portraying to others. The application of many filters on your face, can lead to a false sense of self and reality. A false perception is being presented to the world, whom will see you only as your snapchat filter. Therefore when you don’t seem as airbrushed in person, the criticism and insults begin. But who is at fault? Humanity is trapped, running in an endless circle, unable to find a way out. How can we say we have freedom and independence, when we live and depend on our mobile devices. They are attached to us, they have become our addictions. Heard of Pokemon Go, we all have it was a game to catch Pokemon in the real world. It was hailed as an amazing game, getting people outside and walking around. But are they really? The people are walking around heads down looking at their surroundings through a screen. Instead of encouraging virtual games to get people outside. How about we go back to playing outside, exploring, taking walks, without a phone. We can eat, shop, date and even pay using our phones. We are letting technology control every aspect of our lives! Technology and social media have become our downfall. It has its many positive aspects but they are heavily outweighed by the negative. Turn your phone off, look up and live life. The sound of coughing and spluttering could be heard as people gasped for air. Banned from speaking about Suicide!!! Society today is very fast paced and changes rapidly, something which is here one day is not the next. We live in a social media age where people constantly have their heads down looking at a 5x5inch screen, posting their daily lives for others to view and judge them on. Some people are able to cope and navigate their way through this era. Others however struggle, miss face-to-face human interaction, and are unable to keep up with the ever changing environment and world around them. If we take the time to look and observe the world around us, we might see people in pain, anguish, appearing somber and a lot of negativity. Pause. Take a moment to stop, look up and observe the people around you. Whom are you able to have a deep meaningful conversation with. For many, they are able to think of one person whom they can have such a discussion with. But for a lot of people, they don’t have even one person they know they can turn to. This can be for several reasons such as lack of family and friends or even mistrust of others etc. These individuals will turn to society and attempt to find an individual to help them, but this is not always possible. There can be a lot of barriers in the way, it’s a lengthy process and the resources aren’t always easily accessible. Therefore we find the individual recluses and withdraws from society. These people are the most vulnerable in society, to have active suicidal ideations and attempts. Since birth humans have innate instincts which help us survive such as fight or flight, breathing, blinking etc. One such mechanism we have is the need to be supported and cared for. As humans we rely on interactions and the emotional fulfilment these interactions give us. We crave emotional relationships, the feeling of belonging and being cared for, a safety net. If this need is not met, we have to adapt and seek alternative methods to help survive. Here we may see the individual engage in self destructive behaviours such as; alcohol and drug abuse, self neglect, cutting and taking overdoses etc. The individual is able to recognise the destructive nature of the behaviours but can’t find any other alternative, to help with the pain and fill a void. All the behaviours have something in common, they all; numb the pain, mask the feelings and block thoughts. Therefore the individual is able to survive another day in the world, after using such self destructive mechanisms. But for how long?? We see in social media, high-profile celebrity suicides are published. This makes me feel a range of emotion from anger to gratfulness. In reading comments, people state; ‘ how can they commit suicide when their life is perfect, what do they have to be sad about, how could they do that to their family?’ These statements highlight the lack of understanding, empathy and willingness to find a solution. If we assume the person has access to all available resources, shouldn’t we consider; ‘ how did this person get to the stage where they felt so lonely the only solution was suicide?’ People often refer to suicides as selfish acts, where the person hasn’t considered the consequence and feelings of others after their suicide. But this is far from the truth! Suicide is a private decision, which is often made by individuals whom fear they have no other choice. It is often seen the individual will not voice their suicidal ideations and will attempt to blend into society and wear a mask to cover up. Every second around the world, a person will have committed suicide. They may have felt trapped, lonely, scared and no motivation. We have to look deeper into ourselves in order to help others. The individual may be suffering from a mental health condition, trauma, PTSD, grief etc.. There is never just one reason that we can definitely say is the cause. Humans are complex beings whom are multi-faceted, therefore we cannot isolate one thought, behaviour or feeling at one time. Recently, it has been highlighted that men are at a higher risk of committing suicide, as they are to ashamed to open up and state they can no longer cope and need help. This goes back to males seen as masculine, tough and strong and able to cope with anything, with little support. However, this perception which is embedded into society, causes a lot of stress and pressure, for men today. Asking for help is seen as a sign of weakness, which is only acceptable for women to do. In today’s society we see that this perception is changing, but the notion still remains embedded into society. This highlights the issue of the cultural impact on mental health. We perceive to live in a very modern society, more liberal, open and accepting than any culture in the past. But we find the deep roots of the past are still very much alive in todays society. In every culture there still seems to be a taboo around mental health and strong opinions around suicide. Here we find, culture and religious ideations about suicide, clash, leading to people being very conflicted about their thoughts and behaviours. The very notion of suicide is scary and it’s very sporadic, in nature. The after effects of suicide are immense. The family of the individual suffer greatly, they may blame themselves, feel guilty and often feel helplessness. The grief comes in stages such as anger, sadness and resentment etc. When they are in the anger and resentment stage, they blame the individual for being selfish, not confiding in them and not thinking about the family. This is never the case, the individual would’ve thought a lot about their family and friends. Often they may have attempted to tell someone, but find no voice to speak! We have to understand, suicide is often the option the individual feels they only have. The next stage is sadness. The more details they learn and gain understanding into suicide, the family and friends feel upset and overwhelmed. At this stage they begin to blame themselves, as they never noticed something was wrong. Here the family and friends are reassured, but the feelings of helplessness can begin. Often we find after someone commits suicide, a family member or friend may suffer from depression or anxiety. This is generally because they get overwhelmed in emotions surrounding the death. In addition, another suicide may occur, the feelings of guilt and helplessness take over. For anyone whom has lost someone, the feeling of emptiness can occur and it’s hard to find closure. Many people can become inpatients in a psychiatric hospital, due to their presentation and actions, e.g.. unable to keep themselves safe in the community. They can be admitted informally (voluntary) or under a section of the Mental Health Act. Patients often find being on a section very distressing, as it often means they have to remain in hospital for a certain period of time and given treatment against their will, if necessary. Some patients can deteriorate when put on a section, as the feeling of independence is taken away,, therefore their anxiety can increase. This can lead to increase of self harming behaviours such as lacerations to body or ligatures etc. It is still unknown how many suicides occur yearly within psychiatric hospitals. The suicides may be accidental or planned. Patients quickly become aware, that attempting suicide on the ward is challenging, as they are constantly observed. So the patient may change tactic and act settled and happy, then they attempt suicide, these are the more risky patients. Also patients may try to self harm to gain attention from staff, as they find it difficult to ask for help, or they don’t know how to cope, but misjudge the support of staff and can lead to death or serious injury. Most individuals just want attention and someone to speak to, often people confuse someone getting frustrated, with mental illness. This is the misjudgment which occurs when we misinterpret the behaviour of someone when they call for help. Individuals may act aggressively or rude when they feel they aren’t receiving the help they require. This may be the only emotional response they know to gain another person’s attention. Here its important not to ignore the individual but to sit and listen to their concerns. In doing so, further aggressive outbursts etc., maybe avoided. In addition, potential self harming of oneself may also be avoided, as you have given your time to listen and care, when they need it. It’s important to note, all they want is someone to listen to them, and if this does not occur, we may be potentially reaffirming their own beliefs that no one cares for them. This can lead to increased suicidal ideations and withdrawal from society/people. Often the approach which should be implemented, is to reassure the individual you are their for them, willing to listen and you are available anytime. Giving someone time is more valuable than anything else. We find many individuals may come from backgrounds or upbringing whereby no one listened or they had no support system. Therefore you might be the first and only support system they have encountered. They may not know how to act or approach someone or even have difficulty communicating their feelings. Here the listener shoud make allowances and understand it’s not easy to open up and talk and especially ask for help when you’ve received none before. Also offer ways to which they can communicate other than verbally, such as written down in a personal diary or poem, or even doing art and expressing it via drawing. In life being open and relaxed towards others can have more positive outcomes than appearing hostile and judgmental. Whereas this may be an obvious statement, not everyone understand this when crying for another person. For example if an individual is acting aggressive, verbally abusive and intimidating than you shouldn’t mirror this behaviour. Humans naturally get into a fight and flight stance and may act defensively. They may shout back at the individual or even ignore them. For me in this situation, I talk calmly back to them even if they continue to shout throughout the interaction. In addition, I display body language, which isn’t defensive or intimidating such as give them space and don’t stand in a ‘fight stance’ ( defensively). I find as time goes on if I remain calm in my approach the other individual naturally becomes less aggressive and intimidating. They begin to realise this person is willing to listen and compromise with them. This is similar to when an individual crying out for help (self harming) but when you offer support they refuse it. Here stay with the person reassuring them, that you’re here when they require support and you care about them enough not to leave when they are distressed. Often this approach works as the individual will realise you are staying to support them and don’t just walk away, so they slowly open up to you and let you in. Humans tend to ‘test’ others to see how others react, if they care etc. These are ‘tests’ we do to gage another persons interest and level of support they will give us. This is important to help protect ourselves from harm and being let down. People misjudge individuals and quickly assume they have mental health concerns, when it’s just a human going through emotions. We have to be empathetic to situations and understand the emotion with the situation. For example I worked in oncology and many patients spoke of suicide, feeling no happiness and only negative. This is understandable considering what they are going through. Therapy and support can be very helpful here. A holistic approach often works here as we identify the situation as aa whole, before we make a judgment. This step should be taken when someone decides to end their life. Don’t focus on the obvious events but look at the whole picture, the smaller details and here you will see the full extent to the individuals suffering. I ensure that in my work life and personal life I make people around me comfortable and express that I am always here to listen and support no matter the problem. I find that by leading with an emphatic and supportive foot, you open up the dialogue and anyone struggling will seek your support. Mindfulness is a great tool to help you navigate through life and make sense of the world around you. It has been known to reduce stress, anxiety and stabilise emotions etc. It is mostly used on individuals whom are within the community or acutely ill. It is effective in centring a person. This works well when someone is having a panic attack or anxiety attack. It brings the focus back to the room and help focus on the smaller things and not the whole entire picture at once. Mindfulness has been around for a long time, but only recognised in the last few years, to be effective on those suffering from mental health issues. The technique allows the individual to stop and pay attention to themselves, whilst ignoring any outside stimuli. The technique is similar to meditation and can be practiced anywhere at anytime, in a group or individually. Mindfulness can be used in any setting e.g. in the park, bedroom or a hospital setting. An example is it is used widely in psycho-oncology for inpatients and outpatients. It gives the patient time to reflect, take a step away from all the chaos and focus on themselves. Unlike many tools, mindfulness is relatively easy to learn and does not require extensive training. A therapist is able to explain and show the technique in one session. In addition, the tool is immediately effective, it does not take a few sessions to work. Mindfulness can often be used instead of mainstream therapies but often it is used in conjunction with therapies such as Cognitive Behavioural Therapy. Mindfulness can be used by anybody, you don’t need a specific mental or physical condition for this to work. It is a great tool to have, to help with daily struggles and cope with any major stressful events, which occur in your life. 1. Sit comfortably. Find a spot that gives you a stable, solid, comfortable seat. 2. Notice what your legs are doing. If on a cushion, cross your legs comfortably in front of you. If on a chair, rest the bottoms of your feet on the floor. 3. Straighten your upper body—but don’t stiffen. Your spine has natural curvature. Let it be there. 4. Notice what your arms are doing. Situate your upper arms parallel to your upper body. Rest the palms of your hands on your legs wherever it feels most natural. 5. Soften your gaze. Drop your chin a little and let your gaze fall gently downward. It’s not necessary to close your eyes. You can simply let what appears before your eyes be there without focusing on it. 6. Feel your breath. Bring your attention to the physical sensation of breathing: the air moving through your nose or mouth, the rising and falling of your belly, or your chest. 7. Notice when your mind wanders from your breath. Inevitably, your attention will leave the breath and wander to other places. Don’t worry. There’s no need to block or eliminate thinking. When you notice your mind wandering gently return your attention to the breath. 8. Be kind about your wandering mind. You may find your mind wandering constantly—that’s normal, too. Instead of wrestling with your thoughts, practice observing them without reacting. Just sit and pay attention. As hard as it is to maintain, that’s all there is. Come back to your breath over and over again, without judgment or expectation. 9. When you’re ready, gently lift your gaze (if your eyes are closed, open them). Take a moment and notice any sounds in the environment. Notice how your body feels right now. Notice your thoughts and emotions. In many Eastern countries mental health is a taboo and in the Punjab where Sikhism is prevalent, it is no different. As a member of the Sikh community and a psychology graduate, I have found mental health issues are brushed under the carpet and are not openly spoken about within the Sikh community, as well as other religions. However the younger members are becoming more open about mental illness. This begs the question is it a cultural or religious taboo. Sikhism is a faith of One God, Ten Sikh Guru’s and the Holy Guru Granth Sahib Ji (GGSJ). Sikhs believe in Karma, and hence believe any tragedies or ill health is seen to be a result of bad karma in either this lifetime or a previous one. Seva (services to others) is also a key component of Sikhism as well as living a moral and ethical life is a key belief in Sikhism. Culturally Sikhism is just like Hinduism and Islam, mental health is a taboo and there is a very evident discrimination against mental health. Families will conceal any one in their family with a mental illness or neurological defect (if possible). This idea of ‘family honour’ is a major issue amongst South Asians. The opinions of others is cast with very high importance, and it seems having a mental illness brings embarrassment to the family name, taints it and can leave the individual unlikely to marry due to its social impact. Mental illness is not seen as an issue the GP can fix, it’s more of supernatural/spiritual issue. ‘Nazar’ (evil eye) is another major issue found amongst the south Asian community. The notion is someone has cast the ‘evil eye’ on you and your family. This belief of people casting an ‘evil eye’ as being the cause of an individual’s ill fate in life, is a phenomena which health care professional should take into consideration. Taking on board the cultural belief of the patient, and incorporating it in treatment plans, can help patients understand their diagnosis and be more acceptance to treatment. Here Guru Nanak Dev. Ji lays out the fundamental foundation of ‘’human rights for all of humanity’’ . However, we do see hidden discrimination toward the ‘different’ and hence the individuals are cast out of the Sikh community. However, Guru Nanak Dev. Ji, taught us to give up: pride and Haumai (ego) and to become humble. Guru Nanak Dev. Ji outlined Haumai is the greatest disease of humanity and that most of the global conflicts and the mental health epidemic is due to Haumai and pride. Guru Nanak Dev. Ji stated if we control our pride and Haumai, we can directly improve the mental health of the both the individual and the community . It is this pride (self and family) being driven by egos, which is causing this taboo in mental health. If we let go of our ego’s and dismiss our own/family pride, we would be more acceptance of issues such as mental health. This removal of pride and ego, will not only benefit the individual but also the community for the long term. Also a global cultural change in attitudes towards mental health can occur, without the presence of negativity, judgement and discrimination. From personal experience, working in the mental health sector, I have come to realise, there is an unspoken community of Sikhs suffering from mental illnesses such as; Depression, Anxiety, and Panic Attacks etc. Many of the individuals fail to recognise they have a mental health problem, and others put it down to a bi-product of their other medical illness; or medication. This was worrying for me, as a large population in the UK of Sikh individuals are dealing with an un-diagnosed/treated mental health issue. ‘’ How best can we support the mentally ill in a Sikh community who deny any problem’’? Mental Health professionals should aim to use cultural specific models of counselling, to better support the individual. Understanding the Sikh religion/culture, will assist in implementing treatment plans more effectively. Also the individual is more likely to accept the diagnosis, treatment and speak about it more openly, as it’s within their religious understanding. Dr Singh outlined mental health professionals should be self-aware of their own beliefs and values, to understand the perspective of all human beings based on different cultures. Then form this information plan and implement an appropriate intervention tailored for the individual . This model is not just aimed at Sikhs, it is universal and can be used by other religions such as Hinduism and Christianity.The model is adaptable to people, situations and beliefs, which means the model can be used in conjunction with western beliefs as well as eastern beliefs, supporting those with conflicted views . Individuals whom suffer from mental health issues, their family feel excluded from daily prayers and family occasions. However using the Sikh Spiritual Model of Counselling, prayer and medication adherence is encouraged, to help provide both spiritual, physical and medical support . Baptised Sikhs and/or un-baptised Sikhs, whom are suffering from a mental illness, should maintain belief in the 5 K’s. This involves Kesh (refrain from cutting your hair), wearing the Kirpan (holy dagger), Kara (silver bangle), Keshara (shorts) and kanga (comb). The UK Sikh Healthcare chaplaincy group have special circumstances regarding the Kirpan, considering the situation. Ensuring all the 5 k’s beliefs are maintained can ensure the sanctity of a Sikh is not broken during this time . Sikhs live and have very close families. Even though one individual is suffering from the mental illness, the reality is this is seen to have detrimental effects on the parents, partners, and siblings. It is imperative that immediate family are fully supported as well, so they are able to provide a strong network to help recovery of the individual and providing them with all the knowledge surrounding the condition . So, living as a British Sikh, born I have a conflict between my western upbringing and the Sikh culture. For me I do not let my religious or cultural views impact my thought about mental health. But this doesn’t mean I escape the prejudice and discrimination in my family life. 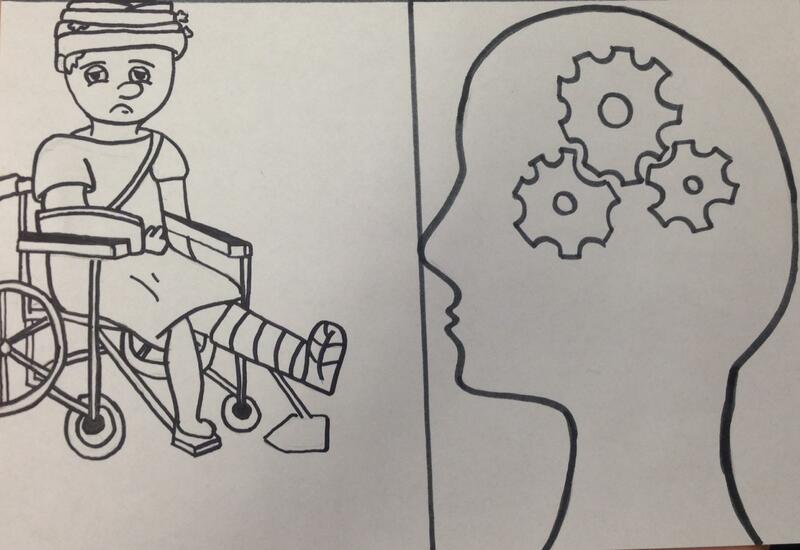 Be it cultural or religious the future of South Asian Mental Health doesn’t look bleak. Through focussing on the individual’s religion and using this as the driving mechanism for treatment, mental health will be recognised and treated more effectively in these communities. Singh, D. (2005). Sikh Religion and its values in Mental Health. Singh, D. (2007). The Sikh Spiritual model of counselling. Spirituality and Health International, 9(1), 32-43. Singh, D. (2015). Mental Health Teachings of Guru Granth Sahib Ji. Asian Journal. Singh, D. (2015). Teachings of Guru Nanak Dev. Ji and Mental Health. Asian Journal. Singh, D. (2016). Mental Health and Waisakhi. Asian Journal.